While most houseplants require a bit of effort in providing appropriate growing conditions (light, temperature, humidity, etc. ), growing Chinese evergreens can make even the novice indoor gardener look like an expert. This tropical foliage plant is one of the most durable houseplants you can grow, tolerating poor light, dry air and drought. Growing Chinese evergreens (Aglaonema) is easy. 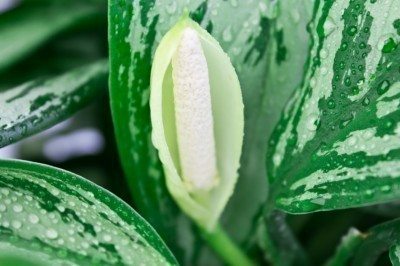 This gem of a plant is one of the most popular houseplants grown in the home due to its ease of care. You can find Chinese evergreen plants in many varieties, including variegated forms. Although they are tolerant of many growing conditions, following certain recommendations will yield greater results. This includes placing them in well-draining soil, preferably an equal mix of potting soil, perlite and sand. Chinese evergreen plants thrive in medium to low light conditions, or indirect sunlight. Wherever you place it in the home, you should make sure that the plant receives warm temps and somewhat humid conditions. However, this flexible plant will tolerate less than ideal conditions if necessary. These plants prefer temperatures no lower than 60 F. (16 C.) with average indoor temps ranging between 70-72 F. (21-22 C.) being most favorable, but they can tolerate temps around 50-55 F.(10-13 C.). Keep Chinese evergreen plants away from drafts, which can cause browning of the foliage. Caring for Chinese evergreen houseplants requires little effort when given the proper growing conditions. They enjoy moderate watering—not too much, not too little. Allow the plant to dry out some between watering. Overwatering will lead to root rot. As part of your Chinese evergreen care, you should fertilize older Chinese evergreens once or twice yearly using a water-soluble houseplant fertilizer. If your Chinese evergreen plant becomes too large or leggy, give the plant a quick trim. It’s also possible to save cuttings during the process for propagating new plants. Cuttings root easily in water. 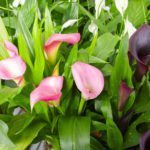 Older plants will sometimes produce flowers reminiscent of calla or peace lilies. This occurs in spring to summer. Most people choose to cut the blooms prior to seed productions, though you may choose to keep them and try your hand at seed growing them. Keep in mind, however, that this will take much longer. To limit the accumulation of dust build-up, clean the leaves occasionally by wiping them down with a soft, damp rag or simply place them in the shower and allow them to air dry. Chinese evergreen houseplants can be affected by spider mites, scale, mealybugs, and aphids. Routinely checking the leaves for signs of pests will help limit problems later. While it may seem overwhelming at first, especially if you are new at growing Chinese evergreens indoors, it’s actually easier than you may think.